A ground-breaking study has found that regular breast screens do not reduce death rates from breast cancer. BreastScreen Australia claims that regular mammograms can reduce breast cancer death rates among women aged 50-69 by one third. However, the Canadian study of around 90, 000 women between the ages of 40-59, conduced over 25 years, concluded that, while screening did result in higher likelihoods of breast cancer diagnosis, there was no difference in breast cancer death rates among women who had had regular mammograms and those who had not. While the benefits of regular breast screens are widely publicised, with 1.7 million Australian women having at least one mammogram every two years, this study challenges popular discourse, actually claiming that regular screens may be resulting in harmful over-diagnosis. According to the study, one in 424 women who had a mammogram received unnecessary cancer treatments, with one in five cancers found through mammography being over-diagnosed as a critical threat to the woman’s health. With breast cancer being one of the most common causes of cancer-related deaths among women in Australia, it is recommended by BreastScreen Australia that women aged 50-74 attend regular, biennial mammograms. 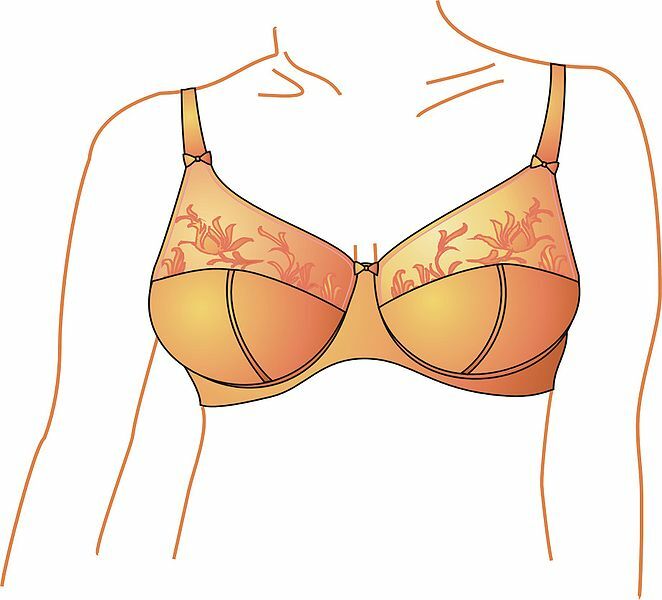 Women aged 40-49 are eligible for screens, however these are less effective due to the denser breast tissue in younger women. For this reason, mammograms are not recommended for women under 40, but it is important to know the normal look and feel of your breasts, lest you find something of concern (last night’s residual pizza toppings that awkwardly fell down your top and got stuck there probz don’t count, guys). I am very pleased to see yet another medical myth bite the dust. I’m all for preventative health care, but I’d long suspected that breast screening was not the great benefit to women’s health it was made out to be. I’ve had a terrifying false positive result, but fortunately insisted on retesting before unnecessary surgery. A friend had a false negative, almost dying as a result of not taking investigation of her changed breast further. It’s been the same with the blood test for prostate cancer. We tend to suspend our natural critical capacities when any statement is prefixed with “studies show”. We need to determine how good the study was and what the latest one found, but few are in a position to do that. Once a medical peak group or professional association has issued a decree on the desirability of something and it’s become common practice, it’s hard for them to back off – for example, see the food pyramid with carbs massively dominating, or risky statins issued to everyone with slightly high cholesterol, when there’s no really good empirical data that this is an indicator of cardiac risk in the first place.However, there is good evidence statins can cause dementia, impotence and a whole host of other horrors. Another example: my doctor’s been telling me for a decade that my high uric acid levels are a risk for heart disease and last week I stumbled across an article in the online British Medical Journal of a Danish study of 58000 patients, controlled for all sorts of variables, and there is no link, causal or otherwise. Our only defence is to stay aware and not blindly accept everything the government or vested interests tell us, so it was good to see this article on Lipmag. Knowledge is power, sisters. I’ve now read further on the matter and it’s still essential we keep up our own monthly “look and feel”, so we notice any changes in our breasts and armpits, where the lymph glands are, and get our GP to also check once a year. This entry was posted in Health, News and tagged breast cancer, health, News. Bookmark the permalink.